Driving myths--we've all heard them! Most of us were taught these myths when we first began driving and went on believing them without bothering to find out if they were true or not. 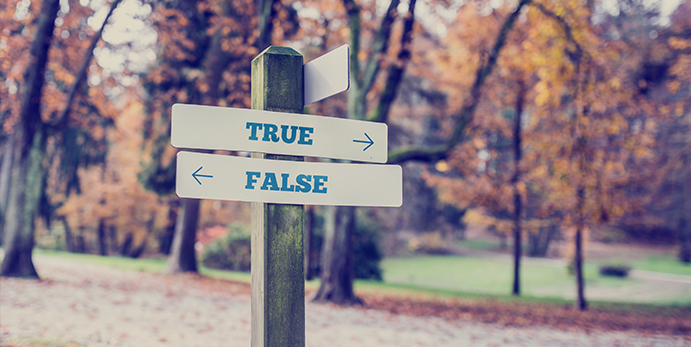 Well, you might be surprised to hear that the following 7 driving myths are in fact false! It’s always important to stay up-to-date on your vehicle maintenance, but that doesn't necessarily mean you have to get your oil changed every 3000 miles like you've probably been told time and time again. Oil chemistry and engine technology has evolved so drastically that the majority of automobiles today call for oil changes at 7,500 or 10,000 miles, some even as high as every 15,000 miles. Even though they know this, auto mechanics still slap a sticker on the inside of your windshield reminding you to get your oil changed 3,000 miles after your last oil change because its an easy way to keep auto shops busy and customers continuously returning. Don’t continue to fall for this auto industry scam. Check the maintenance chapter of your owner’s manual to find the recommended service intervals listed directly by the automaker for your specific vehicle make and model. This isn't to say that talking on a hands-free headset is not safer than holding up a cellphone while driving, but you’d be surprised at how little using a hands-free device improves a driver’s ability behind the wheel. Studies have shown that using a hands-free device while conversing and driving hardly reduces the likelihood of being in or causing an accident. Some studies have even shown that drivers talking on cell phones are actually driving better because they compensate for the distraction more than drivers using hands-free devices do. The issue doesn't come down to having an extra hand free or not; ultimately, it’s the distraction of talking on the phone, hands-free or otherwise, that creates the driving risk. Don’t become a danger on the road due to distractions. Pull over if you need to make a phone call. I remember being a kid and hearing this from my mother. I wondered: why would anyone want to drive a red car if you’re going to get pulled over more often? If your favorite color happens to be red, you’ll be pleased to know this is completely false. Your car color has no effect on your chances of receiving a speeding ticket; only your individual driving habits will determine that. No matter the color of your vehicle, if you speed, you run the risk of being pulled over. But what about the rumor that red cars have higher insurance rates? This is also false. Factors insurance companies consider when determining rates include the make, model, and year of your vehicle; your personal driving history; and your credit history--not the color of your car. Some insurance companies don’t even ask the color of your vehicle when applying. Ever met someone who refused to wear a seatbelt, claiming they only increased the risk of injury or death? That claim is completely untrue! Research shows that wearing a seatbelt can reduce the risk of death by 45% and cut the risk of serious injury by half. Seatbelts are the most effective safety device used to prevent serious injury or death in an accident. But some people believe that airbags are a danger to drivers and passengers, too. Studies show between the years 1991-2001, over 8,000 lives were saved by airbags, compared to the 237 lives that were unfortunately lost due to airbag related injuries during a crash during those same years. These numbers speak for themselves; airbags have a far greater chance of saving your life than harming you. Proper use of the seatbelt and airbag devices aren't 100% guaranteed to save your life during a crash, but the statistics show they do greatly increase your chances of avoiding serious injury or death. And with transportation safety technology getting better every year, those chances are going to continue to get better, but only if you properly use those safety devices. After I first got my license, my grandfather insisted I warm the car engine in idle before driving. This might have been something that was required back in his day, but I've since realized that due to modern technology, this is not only unnecessary, but it’s actually wasteful. Not only are you wasting gas while sitting idly waiting for the engine to heat up, but you’re wasting time, too. Your engine actually warms faster when you drive around, and most vehicles use electronic fuel injection to allow the engines to run effectively even while they are cold. Even though this common myth might have once held substantial value for drivers, it’s outdated and no longer relevant today. Hopefully you haven’t debunked this driving myth through personal experience. The truth is that any speed over the posted limit is considered speeding and subject to a ticket. You might not always get pulled over for speeding, especially if you’re only going one- or two-miles over the limit, but that doesn't mean you can’t be pulled over. The posted limits are emplaced for the safety of the general public, and any violation to those limits can get you in trouble, whether it’s twenty miles over the limit or two. Remember: the best way to avoid a speeding ticket is to not speed! Some people believe that filling your car with premium gas on occasion will help clean out the engine or increase a vehicle’s performance. Truth of the matter is the Environmental Protection Agency requires that all grades of gas have detergents that clean out fuel injectors, so using your standard grade of gas will be just as effective at keeping your engine clean as most premium gases. And as for increasing your vehicle’s performance, keep this in mind: car engines aren't designed to take advantage of higher octane fuel, so putting a higher level fuel in your car won’t do anything extra for your engine. Now, if you car is designed to run on premium gas, you don’t want to put anything less in it. Each vehicle was designed to use a specific type of gas; stick to that type and you can’t go wrong! Don’t believe everything you hear out there! If you hear something that sounds too far-fetched to be true, it might just be. Do a little research and find out for yourself if those common myths actually hold any weight.